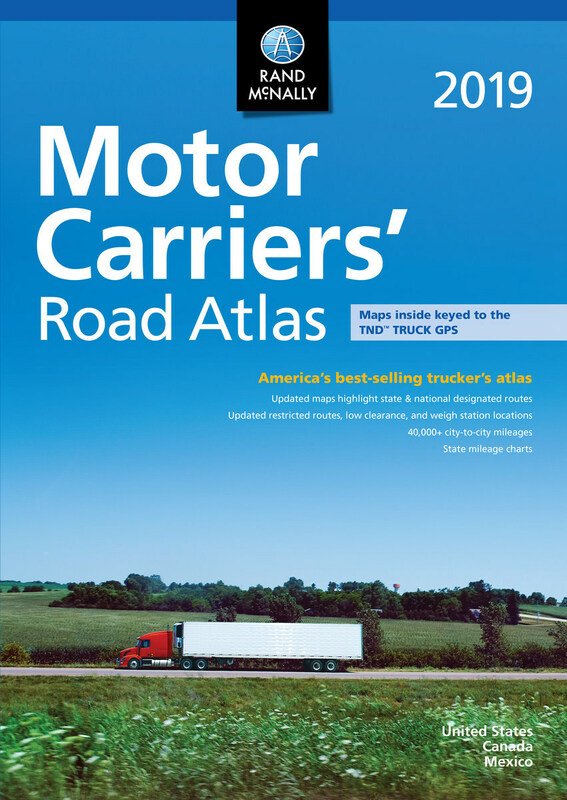 Earlier today, mapping and travel solutions company Rand McNally reported that it released its latest annual edition of the Motor Carriers’ Road Atlas, a resource for professional drivers in North America. The company reports that for close to 40 years, the Motor Carriers’ Road Atlas has provided information and resources to professional drivers including items such as truck-accessible roads, state trucking regulations and tolling information. "The Motor Carriers' Road Atlas continues to be an indispensable tool for professional drivers," said CEO of Rand McNally, Stephen Fletcher. "While Rand McNally has pioneered key technologies such as advanced mileage and routing software and connected vehicle solutions, we are equally committed to updating and delivering new editions of our industry-leading atlases each year." Rand McNally reports that the latest edition will be released in three formats including paperback, an edition with laminated pages and spiral binding as well as a large-print version. Also featured in the most recent edition are revised maps for the United States and Canada, a revised 22-page directory with more than 40,000 truck-route-specific mileages from location to location as well as toll system contact information, among several other new features. In a press release published earlier today by the company, a testimony from Carthage, Tennessee owner-operator Darren Dickens said that the Atlas helps provide information that a GPS device may not cover. Even though I use a truck-specific GPS, I continue to use Rand McNally's truckers' atlas because of all the information contained inside. I particularly like the information in the front of the book like the weigh stations and height restrictions.” said Dickens. “Even the best GPS in the world doesn't give you all of that at your fingertips." According to Rand McNally, the new reports may be found at the company’s site as well as travel centers across the United States.